Today we finally submitted our NaturalCycles iOS app for approval for being released for iPhones and iPads in the Apple Store. 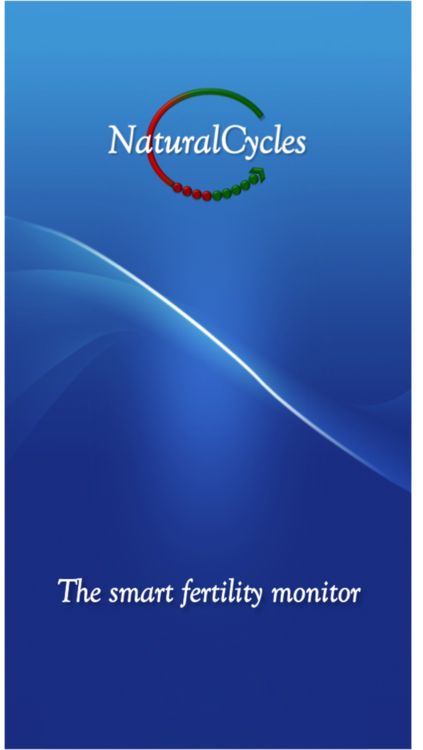 The procedure to submit an app to Apple is quite extensive, with many configurations to set and certificates to create. That’s why we are so happy today that we’ve completed all of this work, which not to forget also includes developing the app itself. Now comes the real review process on the Apple side, which can take up to 6 weeks. Our app has the same structure as the NaturalCycles website for the logged in user – it is different for NC Free, Prevention and Planning. The app itself is free, but one needs to register for a NaturalCycles account to use it, either on the app itself or on NaturalCycles.com. 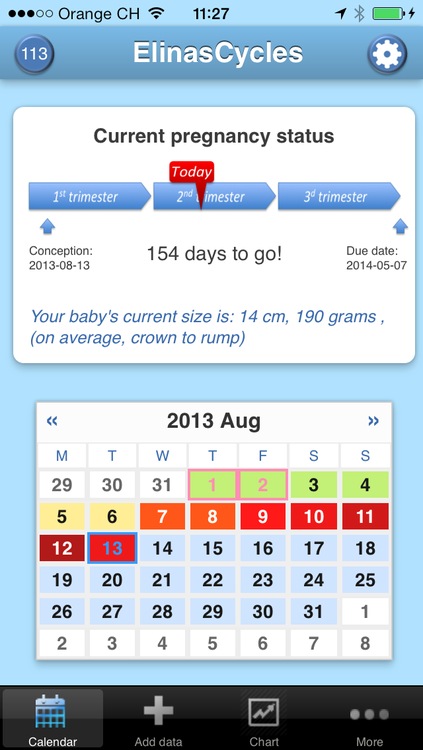 Similar to our website, the whole app changes its color scheme depending on whether you are having a red (fertile) or green (not fertile) day or if you are pregnant, which is when everything becomes blue. 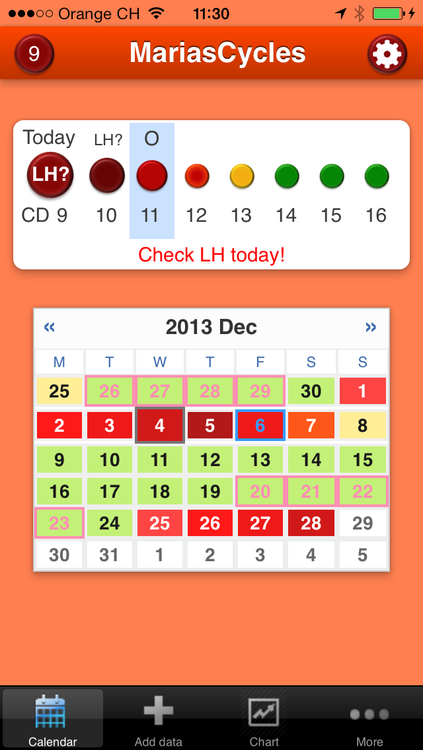 In addition to the fertility calendar and temperature chart, the app also has the analytics summary of your cycle and a pregnancy tracker if you are pregnant. It also contains Prevention and Planning discussion forums, where you can chat with other users and share your charts, etc. 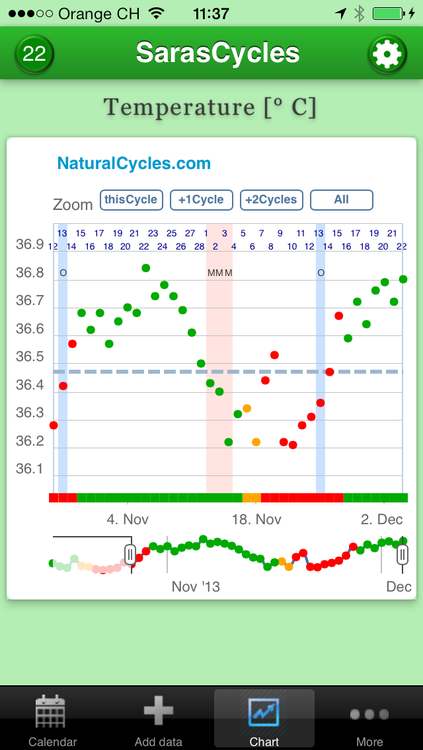 I think the app is a very nice addition to our website, since NaturalCycles is something you use on a daily basis and not everyone sits in front of a computer all the time, like I do. The app is made with a cross-browser framework called PhoneGap, such that it works for all device dimensions and should be easy to duplicate also to other platforms. Hopefully the Android app will not come long after the iOS app.